Huge Savings Item! 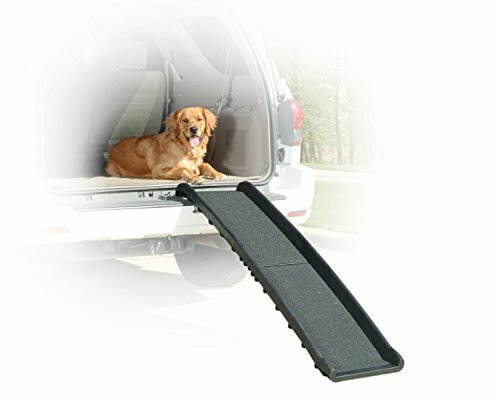 Save 12% on the PetSafe Solvit UltraLite Bi-Fold Pet Ramp, 62 in., Portable Lightweight Dog and Cat Ramp, Great for Cars, Trucks and SUVs by Solvit at newmexicoveterinary.org. MPN: 62321. Hurry! Limited time offer. Offer valid only while supplies last. The PetSafe Solvit UltraLite Bi-fold Pet Ramp is an easy and economical way to provide your dog or cat with access to cars, trucks, SUVs and more! NOTE: Refer the User Manual before use which is highly recommended. If you have any questions about this product by Solvit, contact us by completing and submitting the form below. If you are looking for a specif part number, please include it with your message.